Every week we’ll have a new recipe and this one will come off the website. So download it while you can!! We are Stuart Grant and Brooke Mack. Together, with our 3 children, we have dreamed of managing a farm that raises the highest quality food products for those that we love. We don’t just focus on the product, but on the community that we share our farm with. Our farming desires stem from a spiritual conviction. We feel that conventional food systems have tried to reinvent how to produce food for larger quantities. And we are seeing more and more the health consequences of this new model. At our farm, we want to hold tightly to the principles that God created with growing food. Ultimately, we want our farm to be a reflection of the Garden of Eden. God made so many good things for us. 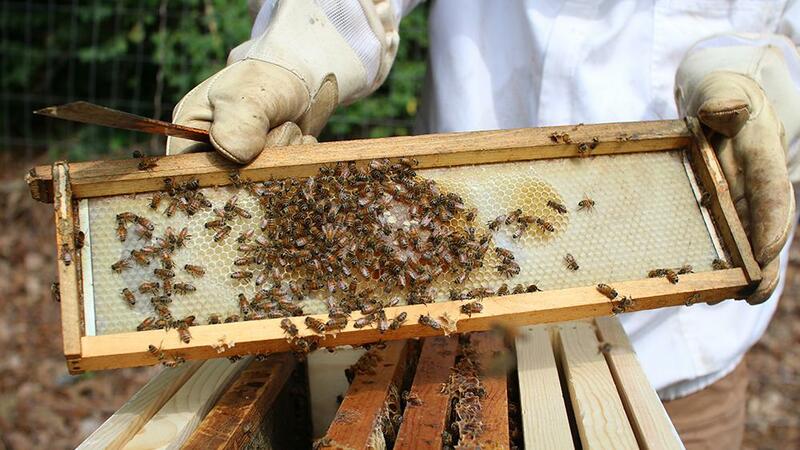 From the nutrient-rich soil to the bee’s ability to extract pollen and create a natural sweetener for us! At Knob Hill Farm, we make the most of these gifts from God. And now it’s time to share these gifts with you. Come and enjoy our farm, our food, and our family! Our farm is home to endless animals, gardens, and hives. It’s a lot of rewarding work and we wouldn’t have it any other way. Located just off of I-75, we partner with our neighbors and family to expand our production and always promise quality. Guests will enjoy an evening learning about pastured pork. We will get in the kitchen and make our very own Knob Hill BBQ sauce. Guests will take home with them a Knob Hill tote and BBQ sauce. This session is full, please check back later for more sessions!